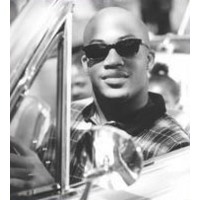 Antoine "Skee-Lo" Roundtree is a rapper who was popular in the mid-1990s. He was born in Chicago, Illinois, and grew up in New York City and Riverside, California. He mostly rapped about Los Angeles, specifically the Crenshaw area.